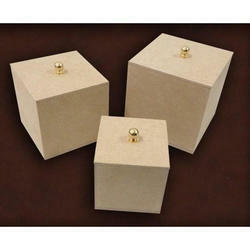 This Set of 3 Nesting Boxes is perfect for your dresser. Keep cotton wool and personal items to make it the perfect accompaniment to your vanity tray. The Set of 3 beautiful Nesting Boxes made from eco-friendly pine based MDF provides an excellent working surface and comes with 3 brass knobs. 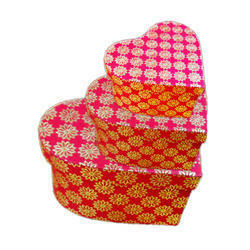 We are manufacturer & supplier of Gold Swirls Nested Gift Boxes. We offer Stacking Boxes for storage on racks of various sizes so as to save space & for easy identification of the products put into them. We are manufacturing wide range of Nested Boxes in India. • Easy to Install inside and out side of cage. These are three boxes of different sizes but of the same design and theme. No matter what size the gift is of, the different sizes of these boxes can be easily used for the gift packaging.